The new documentary by award-winning filmmaker Kay D. Ray is making the screening rounds and we’re excited to have two showings with music and discussions in Indiana. Below is the description for this very timely and important account of the barriers that female instrumentalists in jazz are facing. The first screening will be in Evansville, Sunday, March 3, 2:30pm at the Bokeh Lounge combined with music by Monika Herzig with special guests Destiny Muhammad and Karina Colis. The second screening is Wednesday, March 6, 11:15 at Indiana University in SPEA 272 followed by a catered panel discussion at 12:30pm in the SPEA Atrium. And the filmmaker will be in attendance in person for both screenings. About Kay D. Ray: Returning to Seattle from film and video work in Vancouver, B. C. and Los Angeles, producer and director Kay D. Ray worked with Microsoft Studios for four years and was the senior film producer for Experience Music Project where she developed and created over 85 films and directed numerous interviews. Seeling, Jean Fineberg, DIVA, and Sherrie Maricle. The 10th Annual Jazz Education Network (JEN) Conference took place January 9-12 in Reno, NV this year. As a board member for six years and current head of the Research Committee, I’ve been at all gatherings and it’s a joy to see the organization grow and increase programming and impact every year. Most of all, this is as former president Caleb Chapman calls it “the jazz party of the year”. It’s a great reunion with friends and colleagues from all over the world – time to exchange news, perform together and listen to each other’s groups, learn from the clinics and research sessions, and find the newest publications and instruments in the exhibit hall. And most of all, thousands of music students from all over the world perform, listen, and jam the night away. Here are some of my favorite moments from this year’s conference. On Wednesday evening at the JENeral Session scholarships and awards were given to deserving students and educators. And in celebration of the 10th Anniversary an especially commissioned piece by Greg Yasinitsky was premiered with the JEN All Stars – it was an honor to hold down the piano chair in the group – here is the video. On Thursday, I was able to program a full day of inspiring research presentations. Scholars shared their findings on music, teaching, history, psychology, and so much more. We are launching JAZZ Jazz Education in Research and Practice this year, a new journal where many of these fascinating projects will be published. Here is more info about the journal and here is a video impression of the research poster sessions on Friday. 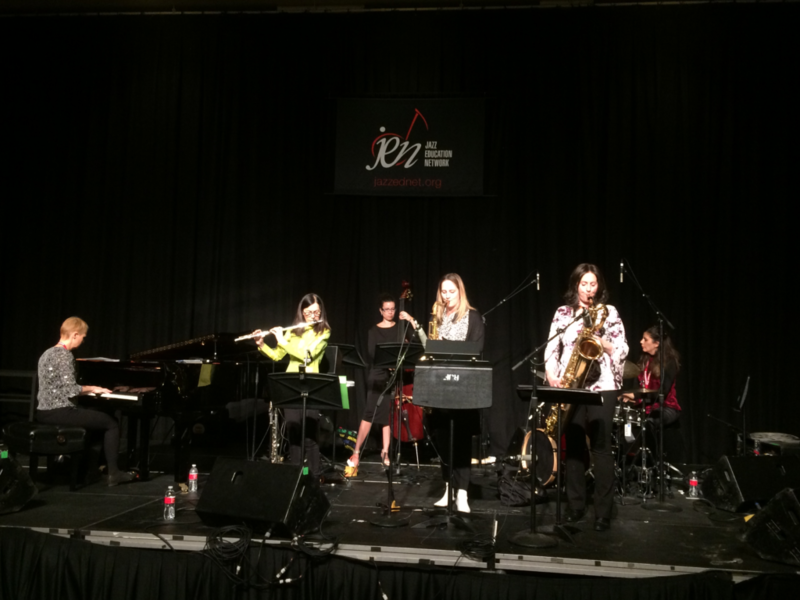 The first edition of the Sisters in Jazz, selected by auditions for this JEN conference, showcased their talents and camaraderie – it’s exciting to see this very special program back in action. Here is a video from the concert. 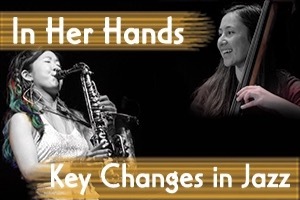 And we screened Kay D. Ray’s new documentary “In Her Hands: Key Changes in Jazz” – centered around the tour and recording of Sheroes with commentary and thoughts by leaders such as Grace Kelly, Ingrid Jensen, Anat Cohen, Ellen Seeling, and many more – well done! And of course on Saturday, the Sheroes got to perform – this edition included Jamie Baum on flute, Roxy Coss on tenor sax, Leigh Pilzer on bari sax, Natalie Boeyink on bass, and Karina Colis on drums – enjoy the House of the Rising Sun! It’s impossible to even scratch the surface of all the exciting events. Of course what was especially heart-warming for me was a notable increase in female participation throughout the conference from the Sisters in Jazz, the Three Divas, Chica Power from Jazz House Kids, to Seattle Jazz Girls, and many, many leaders. And the hang!!! 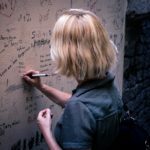 Peace on Earth – 10th Anniversary!